Bryce Canyon National Park in southern Utah, although difficult to photograph, is one of my favorite destinations. I’ve been there many times in different seasons and under different circumstances. 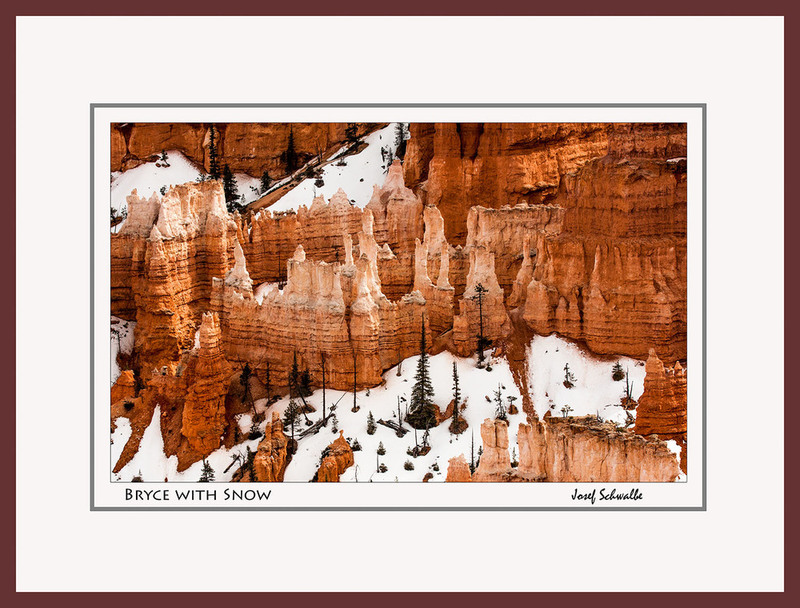 Bryce consists of a series of geological amphitheaters containing eroded orange and white rock called hoodoos. You can drive along the edges of the amphitheaters and get wonderful views of the natural formations or you can hike into the canyons and walk among the hoodoos- in either case the experience is truely unique. The images in this portfolio were from a winter visit in 2011. If you want to purchase any of the images just remember the name of the image and scroll down to the bottom of the page. Click here to return to the Portfolio page. To purchase print please select size and presentation method.